The 2016 Syrah En Chamberlin Vineyard offers more tertiary notes of smoked plums, iron, shiitake mushrooms, forest floor, and peppery herbs. It’s concentrated, full-bodied, and balanced, with a big mid-palate, yet it glides across the palate with an almost Burgundian silkiness. This is a classic En Chamberlin that has all the Rocks funkiness and complexity, yet a beautiful elegance on the palate. 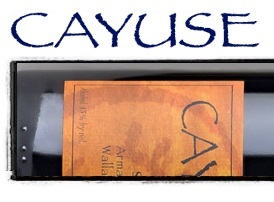 Moving to the Syrahs and always the largest production release, the 2016 Syrah Cailloux Vineyard includes a small amount of co-fermented Viognier and is raised all in puncheons. Cold campfire/ash, plums, dried violets, and pepper all flow to a rich, full-bodied, incredibly opulent Syrah that has a stacked, thick mid-palate, bright acidity, and a great, great finish. It’s another killer vintage for this vineyard and it’s going to be one of the Syrahs of the vintage. Just slightly more ruby colored than the Cailloux Vineyard, the 2014 Syrah en Cerise offers more elegance and finesse as well as lots of black cherry, plums, Asian spice and dried lavender aromatics. Full-bodied, elegant and very fine, it's a pretty, perfumed and seamless beauty.